Is there any other country in the world that is so empty and vast? 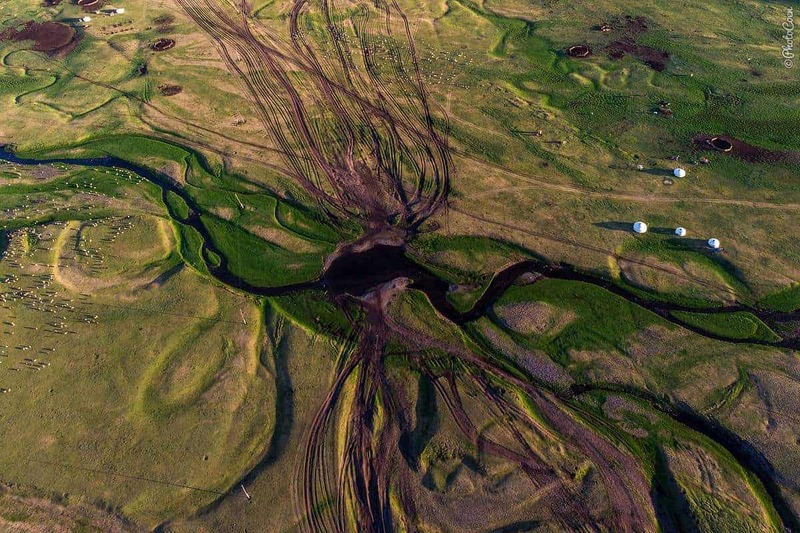 A country so intensely crisscrossed with zillions of tracks without dead ends? 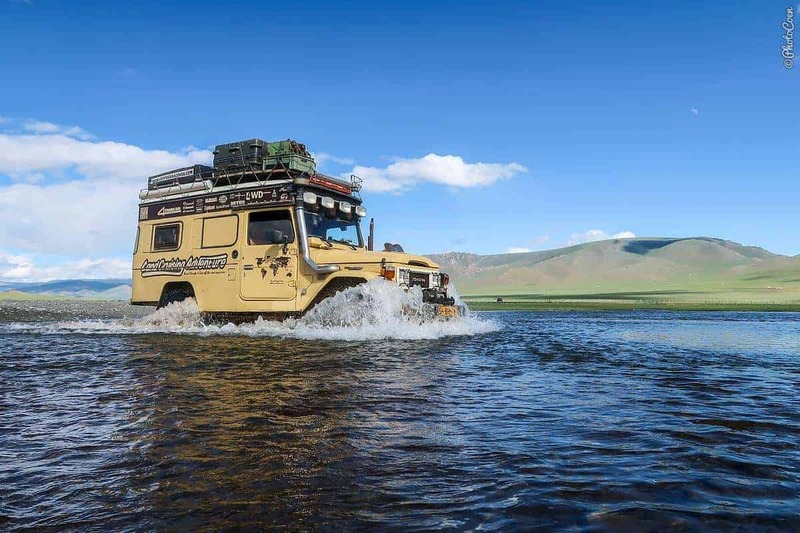 For hours, days, weeks, months even, you can hobble across the Gobi Desert, vast steppe grasslands, and meandering through the Altai Mountains without hitting asphalt if that’s what you fancy. 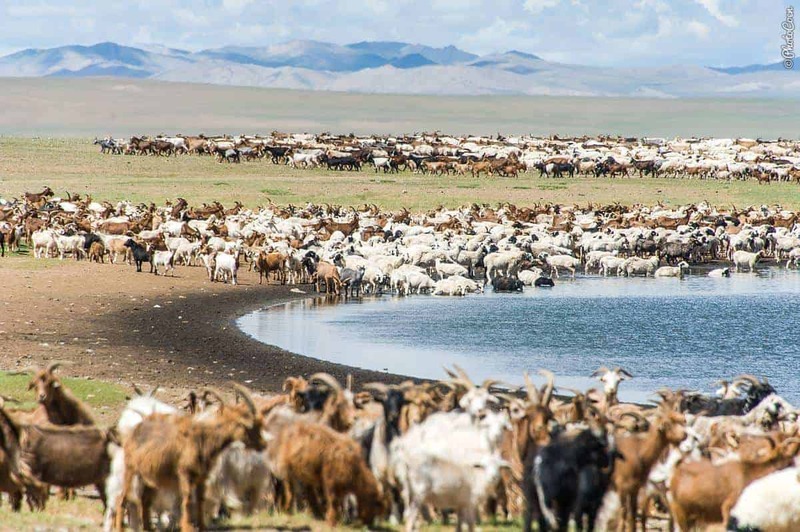 Mongolia is a country to feel as free as a bird but that can simultaneously make you feel trapped – how in the world will you ever exit such vast space of nothingness again?! 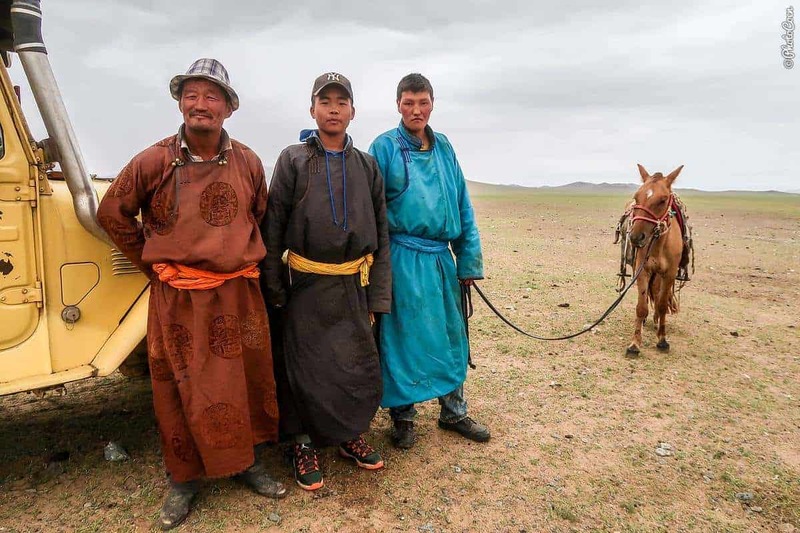 To be prepared, here is our Mongolia travel guide with lots of practical info for overlanders. When: Summer of 2018 (July and August). It helped we knew the Russian Cyrillic script, which was adopted as the official writing system in 1941. This made it easier to decipher e.g. road signs. When it came to speaking, we tragically didn’t learn much more Mongolian than ‘hello’. 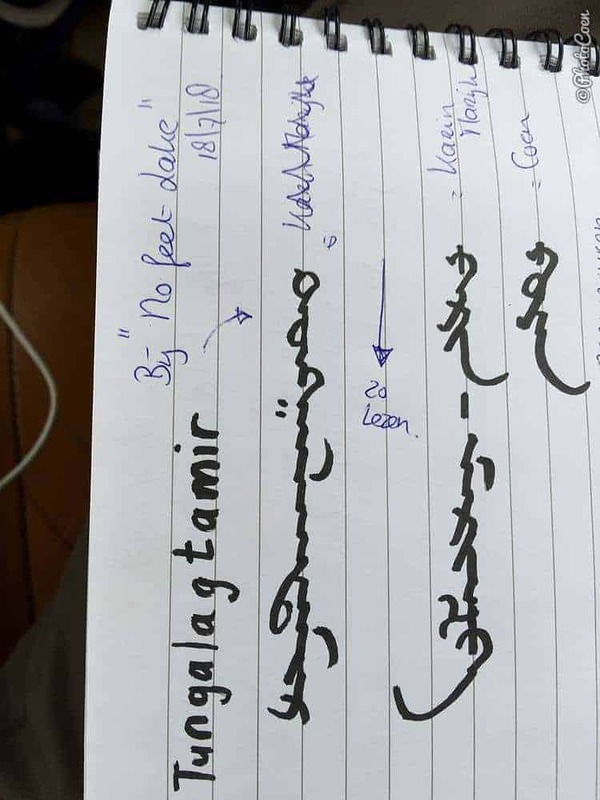 The image here shows our names written in the traditional Mongolian script. 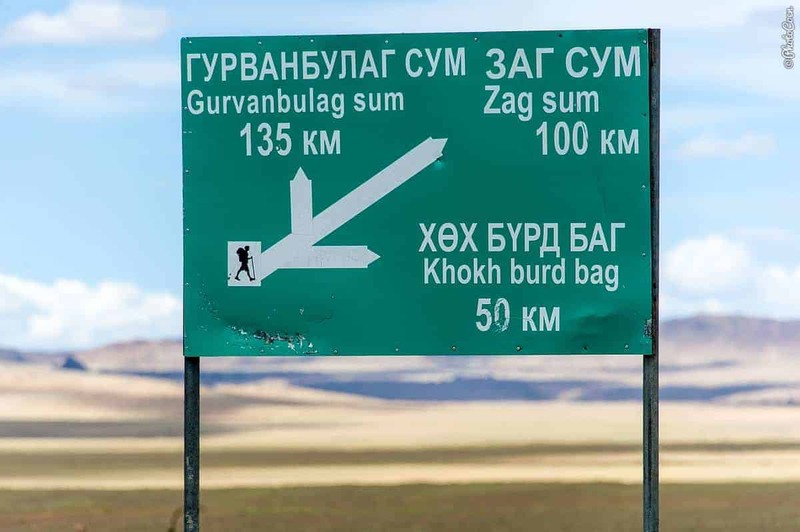 Here’s an interesting article about the Mongolian language. We couldn’t download a translation app that worked offline and so most of our communication consisted of hand-and-feet language. With good humor and willingness on both sides, this gets you far in communicating the basics. 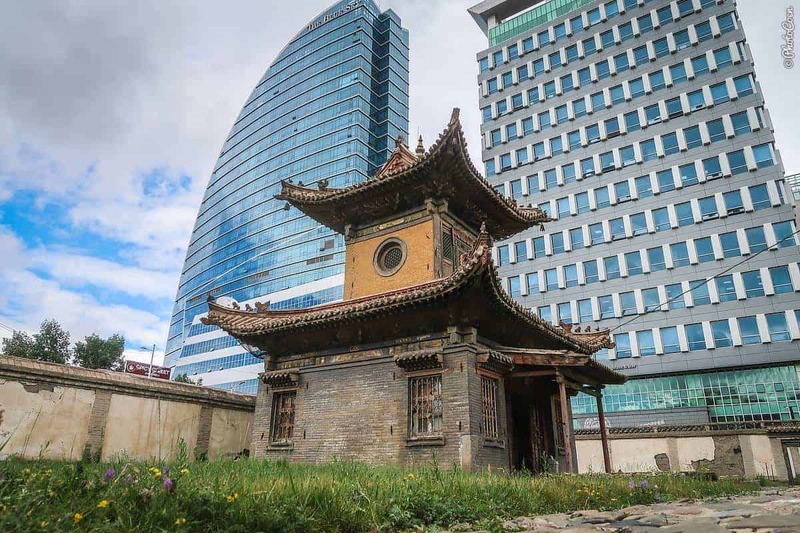 There are paved roads in and around the capital of Ulaanbaatar and a handful of other main thoroughfares are asphalted as well. Other than that, be prepared for unpaved roads. Mud when it rains, and dust and corrugation when it’s dry. 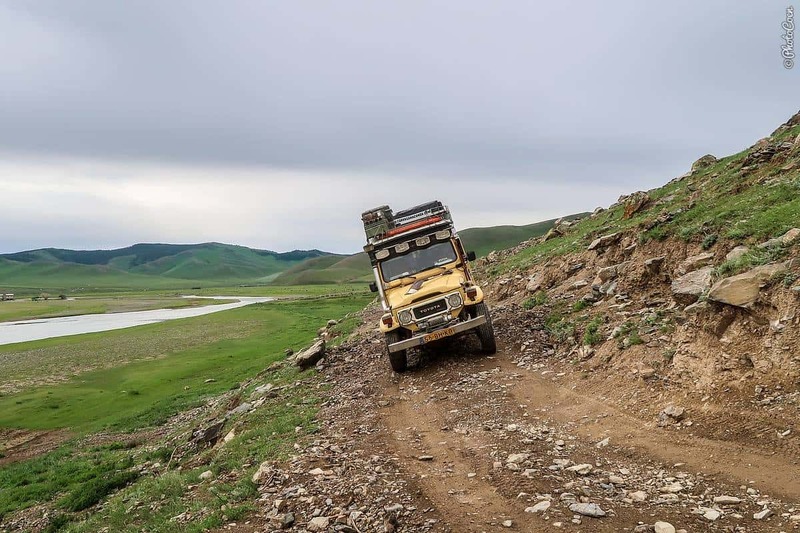 This is the main reason to visit Mongolia with your own vehicle, so enjoy the many serious off-roading opportunities this beautiful country offers! Lots of driving on a side-slope. 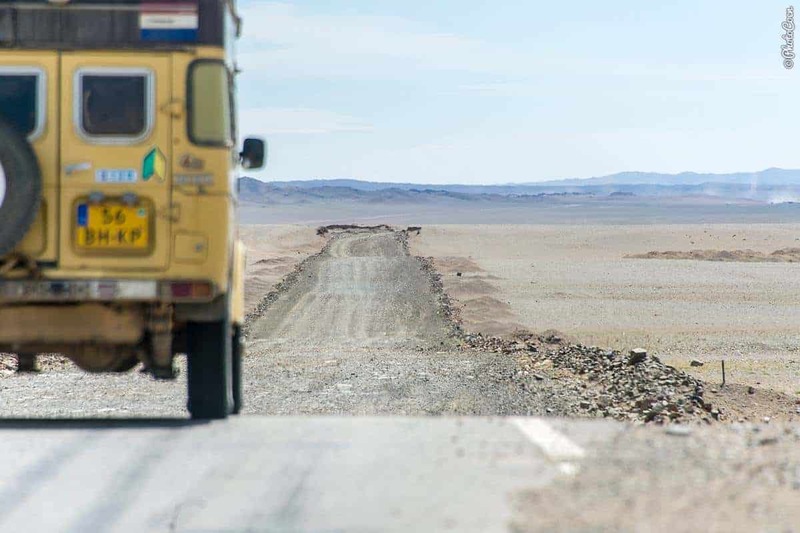 In Mongolia people drive on the right side of the road and stick to the right when meeting an oncoming vehicle in the middle of nowhere. Reise Know-How once more was our friend in paper maps. 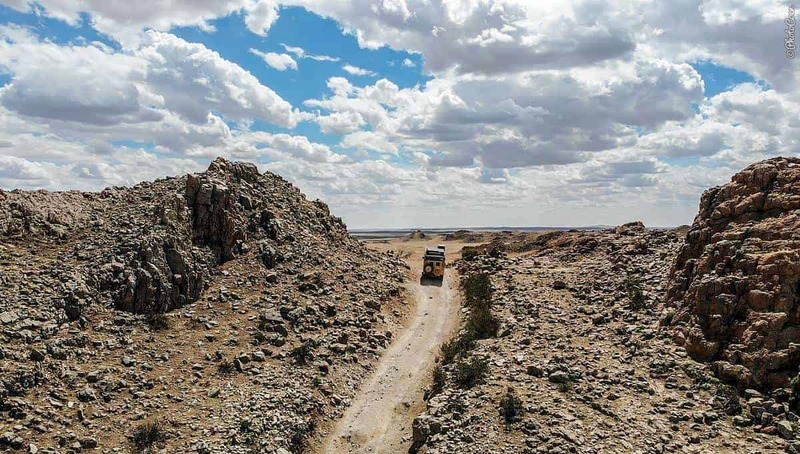 The map can never be fully accurate as unpaved roads have the tendency to change over the years. However, the Reise Know-how map does give a good overview of the country, which is helpful in the preparation phase and to get a general idea of where to go. Routing is a when a device is telling you to turn left or right, which is handy in a crowded city or if you want the shortest or quickest way from A to B. 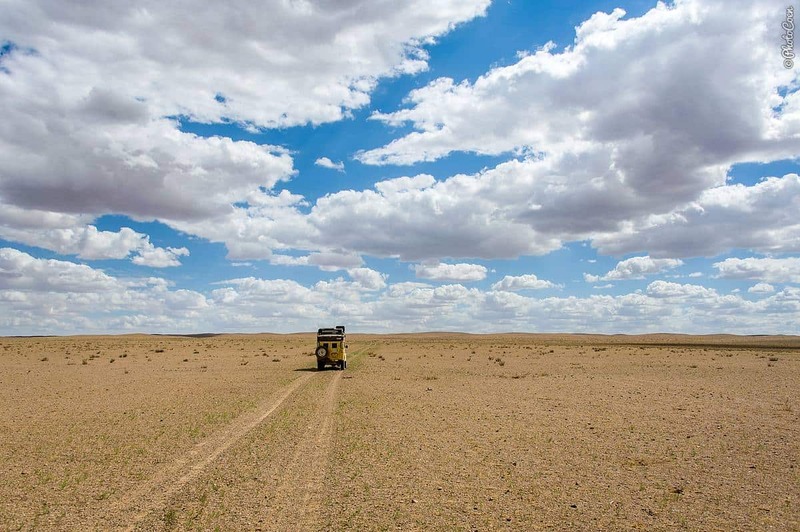 However, when we looked at Mongolia’s vast emptiness, we didn’t need routing as there is none of it to speak of. 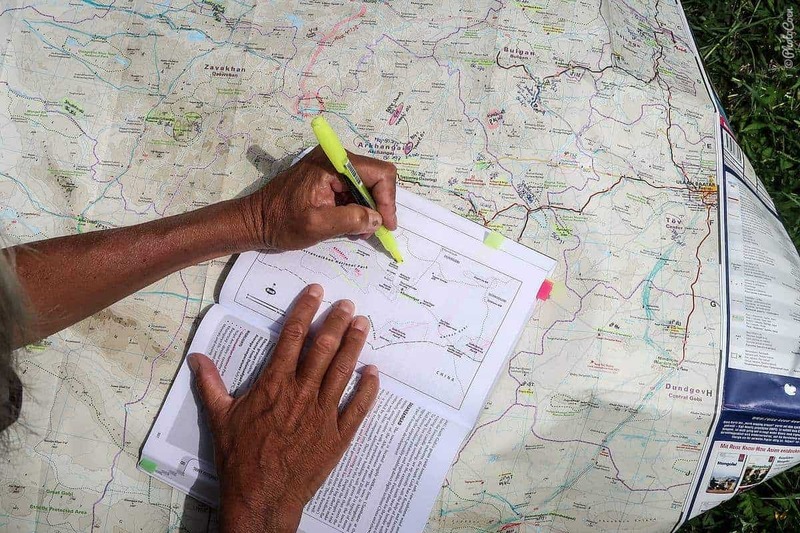 We want old-school navigating. This means we have a point set far away and have a bearing line pointing the general direction. Based on that you choose your own route depending on the terrain and points of interest along the way. 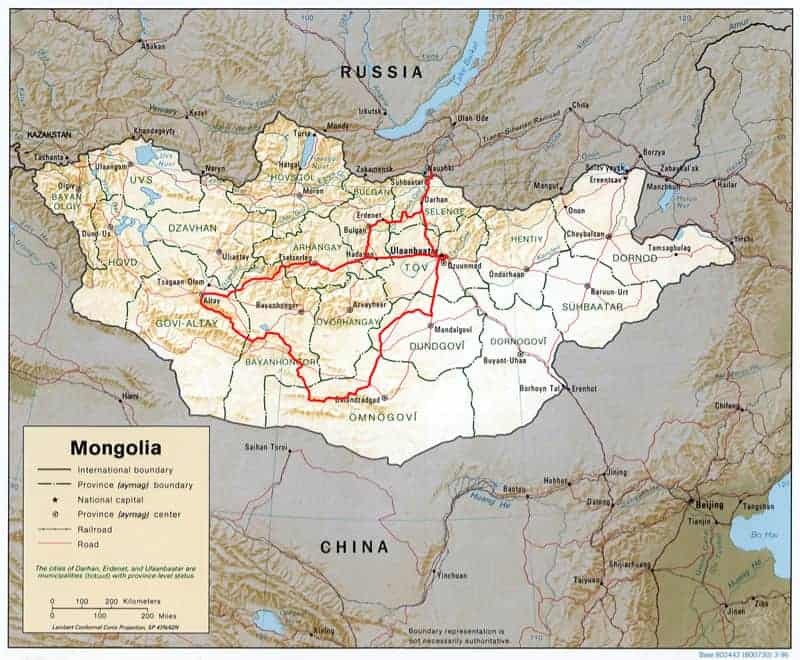 He discarded satellite maps and Open Street maps, as there is nothing to see on these maps of Mongolia. On Android are Soviet Military Maps, which are surprisingly rich in detail and accurate most of the times if you consider these maps date from the 80s. But unfortunately these maps are not offered for iOS. Fortunately, a friend showed Coen how to upload old Soviet Military data into Galileo. I’m not sure having so many maps was always useful because they didn’t always correspond with each other. Coen, on the other hand, prefers having different sources and being able to switch instantly between them. 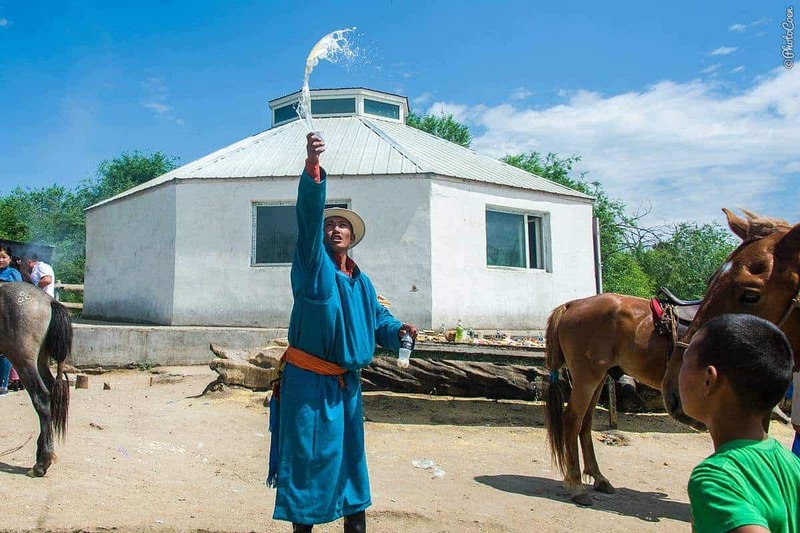 The Bradt Guide, written by an expert on Mongolia. Easy and interesting to read with a lot of general information that makes you want to go out and explore. The Lonely Planet (we just missed the new one, which was published in July 2018). 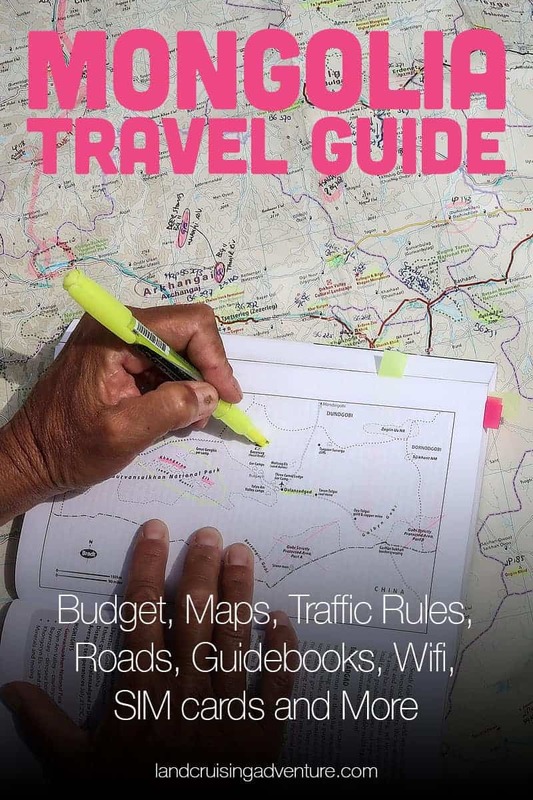 We thoroughly liked the large amount of GPS Waypoints in this book. We haven’t seen this in any other guidebook, Lonely Planet or otherwise. In a vast country like Mongolia with so many ruins, petroglyphs and other sites in the middle of nowhere, this was super useful. I highly recommend buying a copy of Jack Weatherford’s Genghis Khan and the making of the modern world. 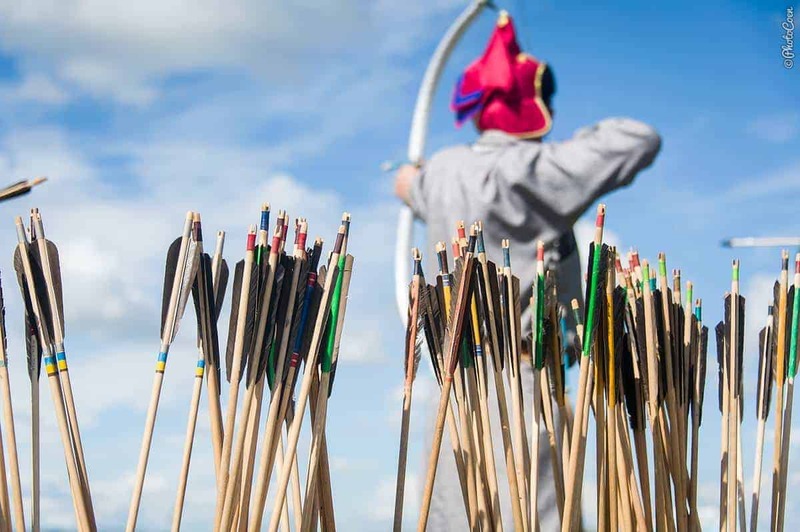 It gives deep insight into Mongolia’s past, culture and Genghis Khan’s influence on the west as we know it today. I read a number of other fascinating books about Mongolia (albeit all written by foreign authors). 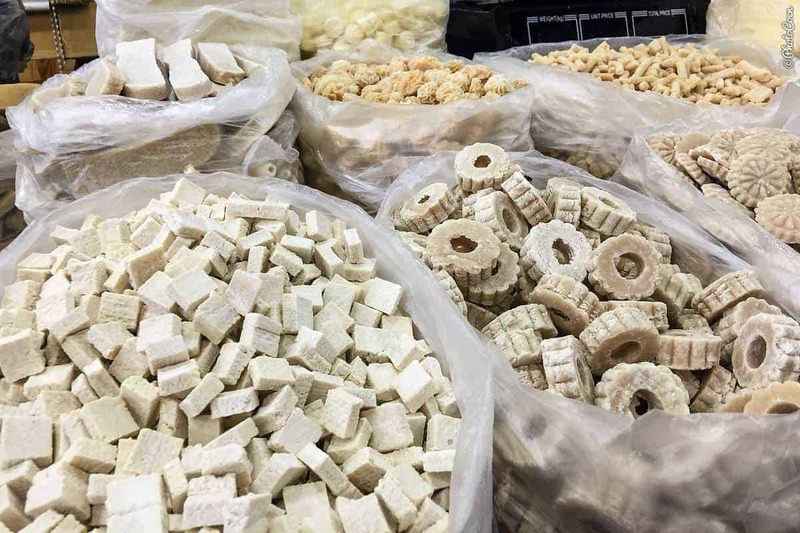 Being plant-based eaters in a country where pretty much all food is based on meat and dairy, Mongolian food was not part of our culinary experiences. 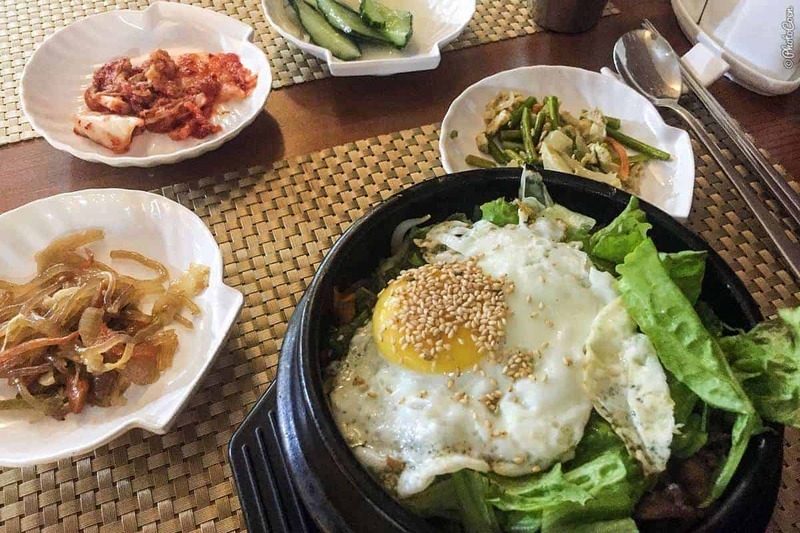 However, in Ulaanbaatar are plenty of restaurants serving international cuisines (Korean!) and vegetarian/vegan dishes so we enjoyed our sharing of going out for dinner in the capital. So, we mostly cooked ourselves. Remember to properly stock up before leaving the capital because once in the countryside, the shelves are minimally stocked. You can expect to find potatoes, onions, white cabbage, carrots and apples, and sometimes canned foods. Check the fridges for tomatoes, bell peppers and cucumbers, which I found in many places as well. We found rice, Ramen noodles and white flour (but no other flours) on the shelves. If you eat meat, check the freezers. 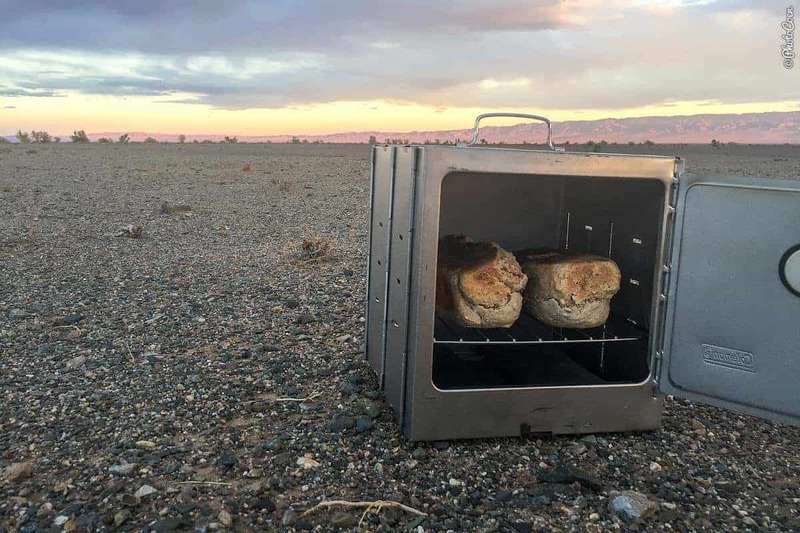 Thankfully we carried our Coleman Oven, which we put to good use. We were very fortunate to have an oven and baked a lot of bread. For the sweet tooth, no worries: you’ll find shelves full of sweet treats everywhere, as well as sodas. As for water, look in the villages and towns for small white buildings. They have water and will fill up your tank for MNT 1000 or free. 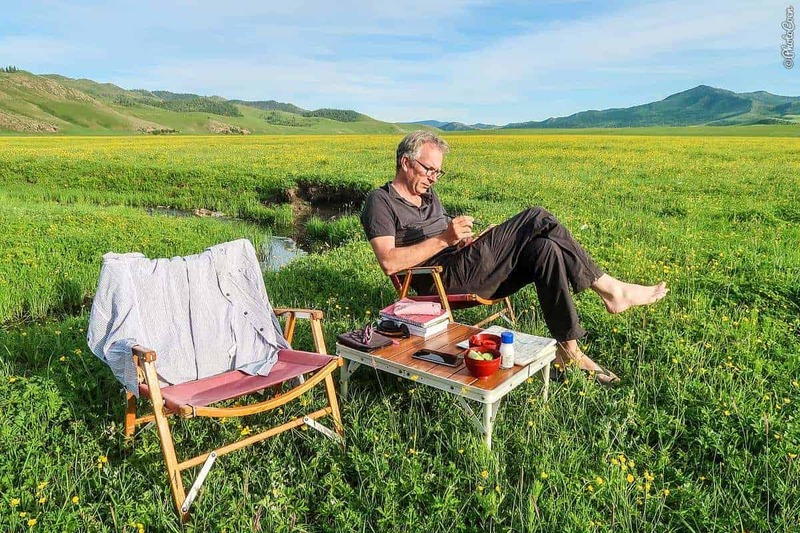 Forget about WiFi and buy a local sim card. Even at the Oasis Guesthouse in Ulaanbaatar the Internet was better with the local sim card than using its WiFi. In the countryside it’s all there is. We bought a local UNITEL sim card in a small town for MNT 15,000 per month per person. Which gives you 20gb. Not included: health insurance & electronics. 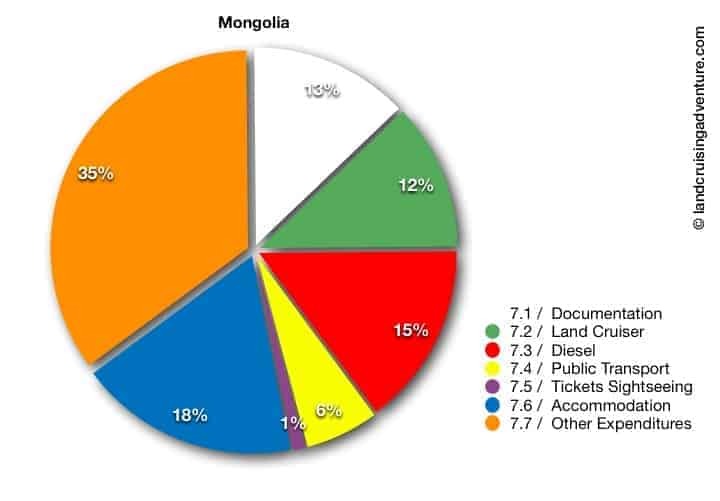 Time spent in Mongolia: 64 days (July/August 2018). Average distance covered: 56 kms/day. 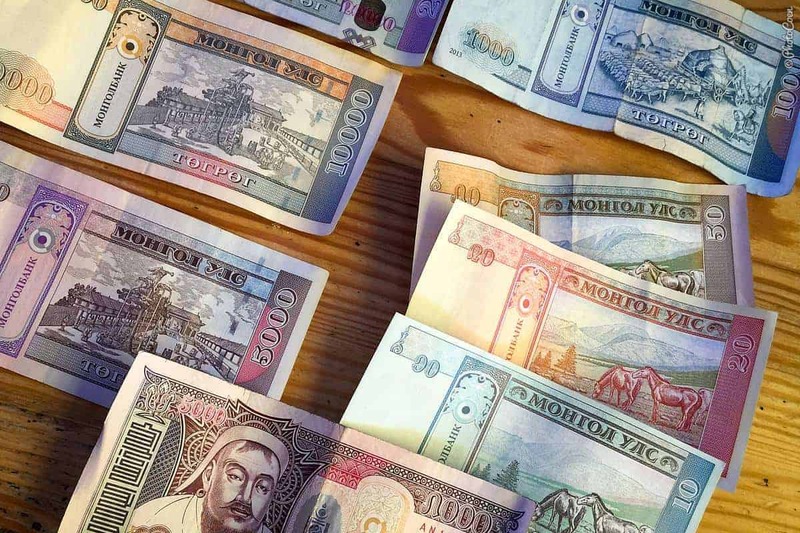 The Mongolian currency is Tögrög, written as ₮ or MNT. There are no coins, but all currency is in paper (10, 20, 50, 100, 500, 1000, 5000, 10.000, 20,000). 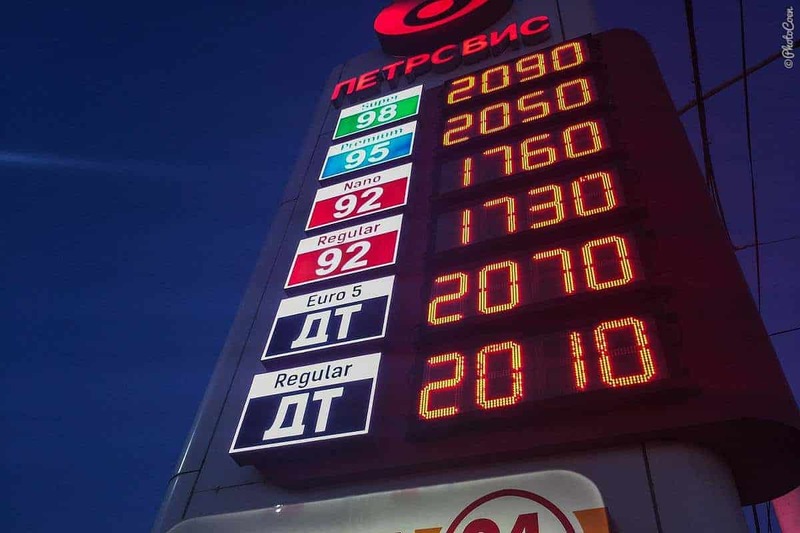 In July 2018 the rate was MNT 2856 to 1 euro. In the Immigration Office of the Kyahta border crossing (with Russia) is an ATM that works with international cards. Use it because right after this building you’ll be asked to pay a tax (MNT 10,000) and you can buy a third-party insurance as well (one month costs MNT 63,000). In Ulaanbaatar it was easy to find ATMs that worked with our (Dutch) debit card (Rabobank) and we made sure to have enough cash to last us for a while when wandering in the countryside. 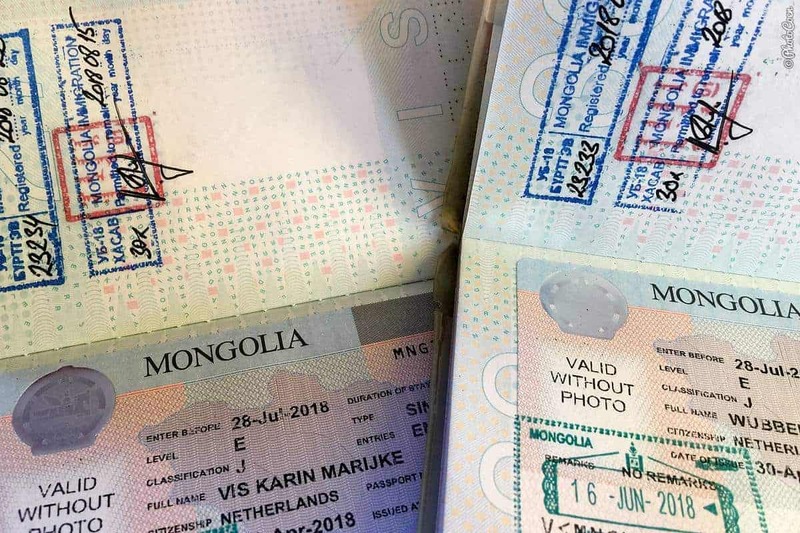 We got our 30-day single entree tourist visas at the Mongolian consulate in Ulan Ude, in Russia, north of the Kyahta border crossing (51.831908, 107.582264). Two days after applying we could pick up our visas. According to the LCD screen in the Immigration Office at the Kyahta border, you can extend your visa only once. For this, you need to apply a minimum of 4 working days before the visa runs out. According to the same screen, you also have to register within 7 days of your arrival. We combined the two at the Immigration Office just south of the airport of Ulaanbaatar (47.853536, 106.782485). The office opened at 8.30 am, we filled in papers that combine the two procedures (registration + extension), paid at the bank in the same building. The whole procedure took an hour or so. The employee emphasized that, indeed, only one extension is possible. After two months in Mongolia, we went to China for a month. Right across the border, in Erlian (Erenhot) we applied for our Mongolia visa for our return trip. In Erlian, the single-entree visa (processing time 3-5 days) cost ¥340 (US$50). Since we wanted to get our visa the same day, we paid a whopping ¥635 (US$80). 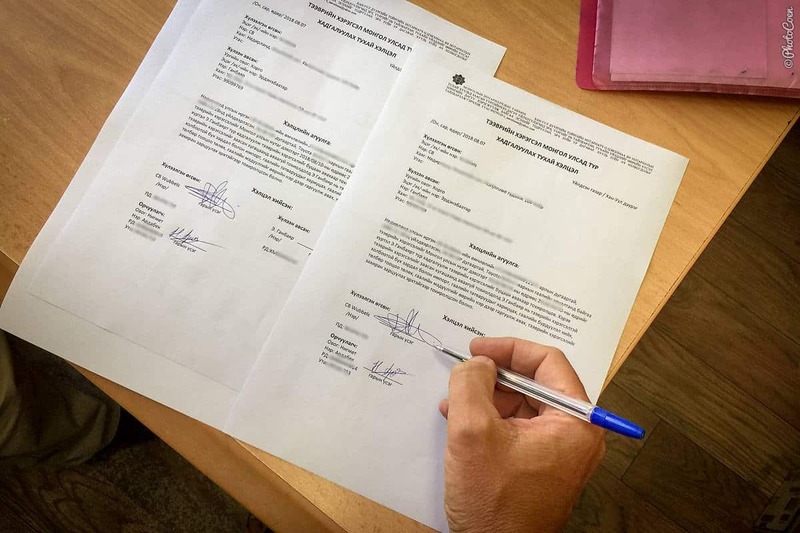 We applied at 11 a.m. and could pick it up at 2 p.m.
You don’t need a Carnet for Mongolia. You are issued with a Temporary Import Document (TID) for your vehicle at the border. It is free of charge and valid for six months. 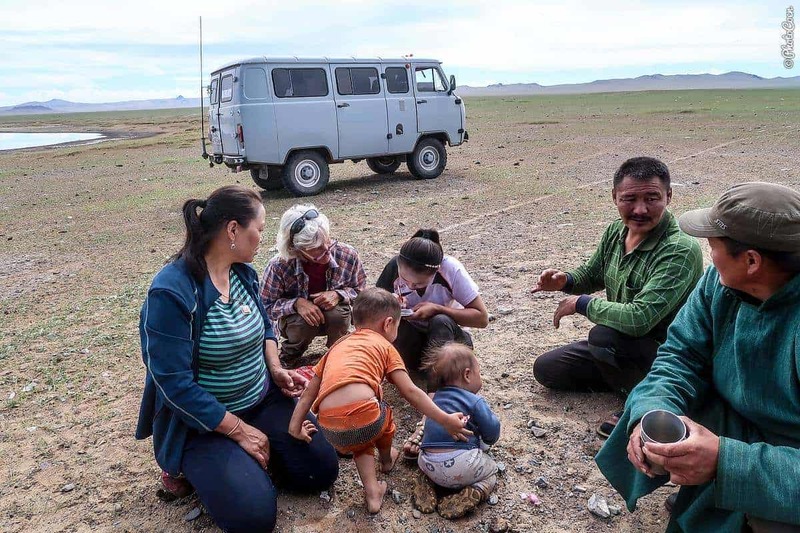 We planned to travel to China for a month, leaving the car in Ulaanbaatar. However, officially you are not allowed to leave the country without your vehicle as stated in this official Customs document. So Coen went to the Customs to check out the alternatives. 1. Park the car at a bonded parking and have a broker release the car from the TID. After returning the process should be done in reverse. This not only takes cumbersome red tape and money but is a complete waste of time. 2. Another option was using the Carnet if you had one, but which we didn’t. 3. 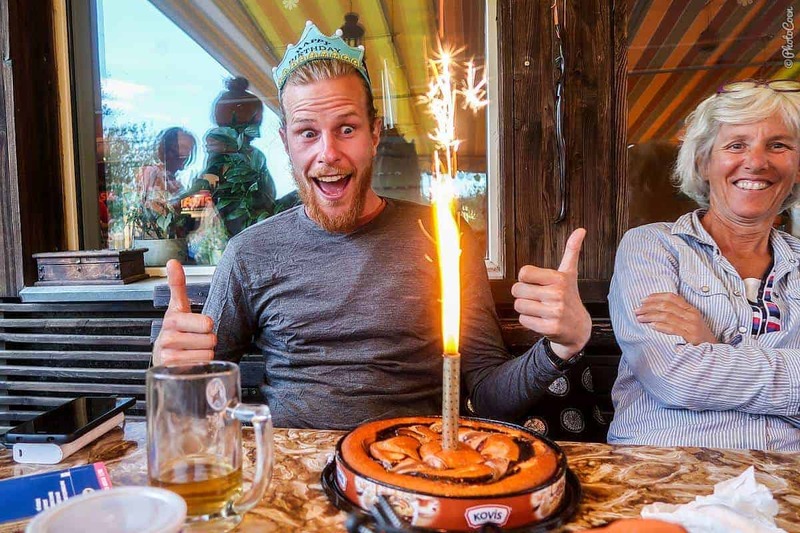 That left us with one other official option: to entrust the car in the care of a friend (that includes the potential burden of fighting with the customs in case the car doesn’t leave within the allowed 6 months). Coen and his friend and a 3rd witness (mandatory) went to a notary and filled in the necessary paperwork. This took one afternoon and cost MNT 20.000. Subsequently, he brought one set of copies to the Customs and kept one set in case the immigration officers at the Chinese border would question him. Which they never did. Better safe than sorry, in this case. Expect your vehicle to fall apart, break down, give hiccups. 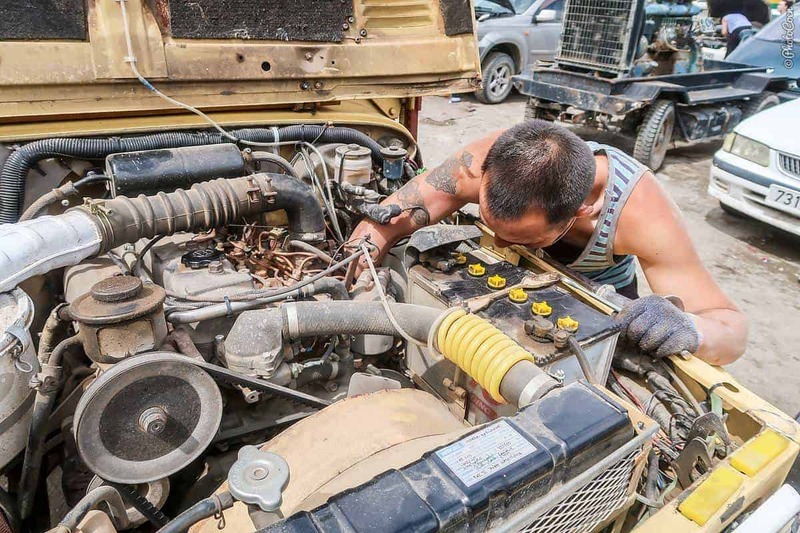 It’s almost impossible not to have car/motorcycle issues when they have to work so hard every day on the Mongolian roads. Screws, bolts, and nuts broke off. The front indicator lights needed to be refixed. All stuff that could be fixed/replaced without too much of a hassle. 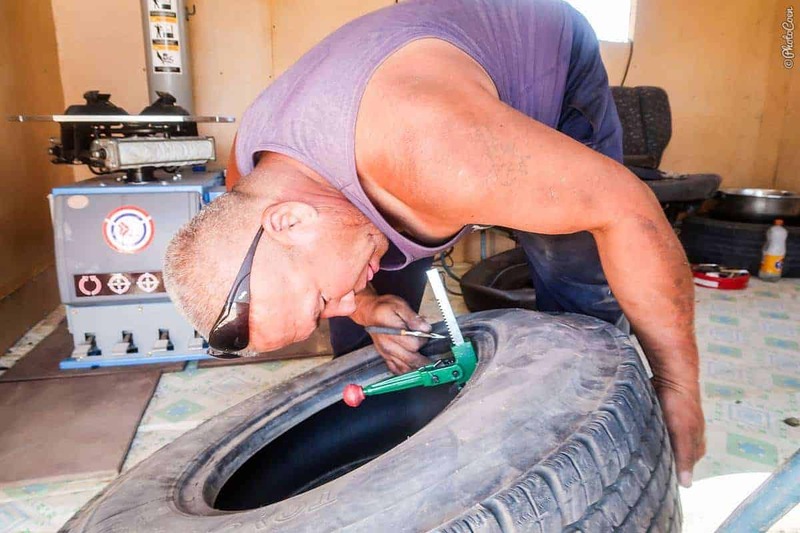 Good equipment in the middle of nowhere to fix a flat tire. 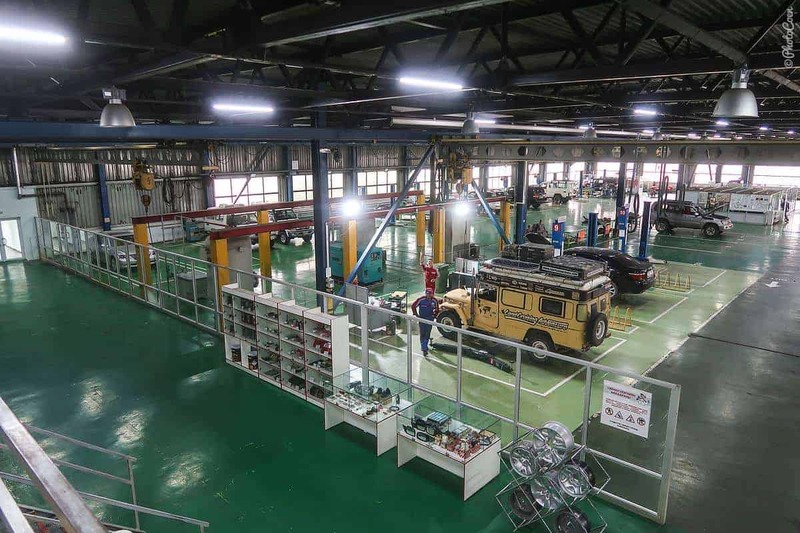 Toyota Workshop in Ulaanbaatar to top up the oils. 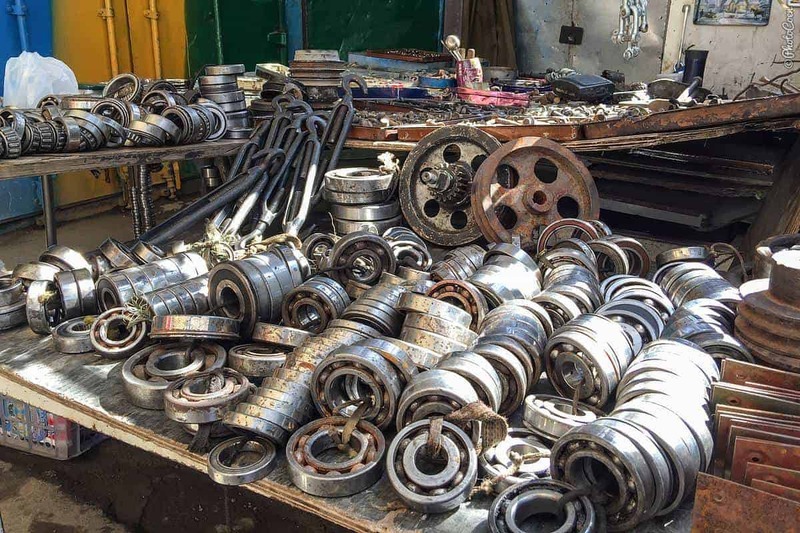 Find spare parts in the black markets in Ulaanbaatar. For a country so large and empty with so few people, it’s remarkable how many fuel stations there are. In any village you can fill up, so that’s perfect. 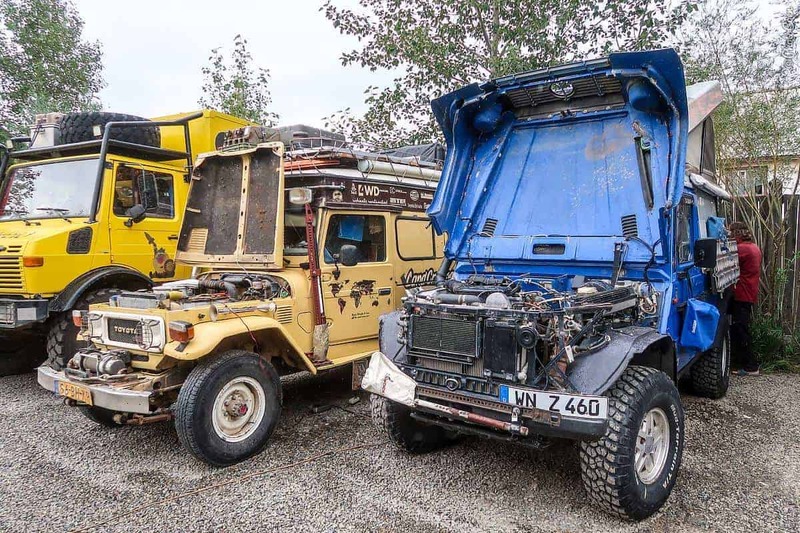 Our Land Cruiser runs on any type of diesel, old or new, tampered with or not, and so did fine in Mongolia as well. 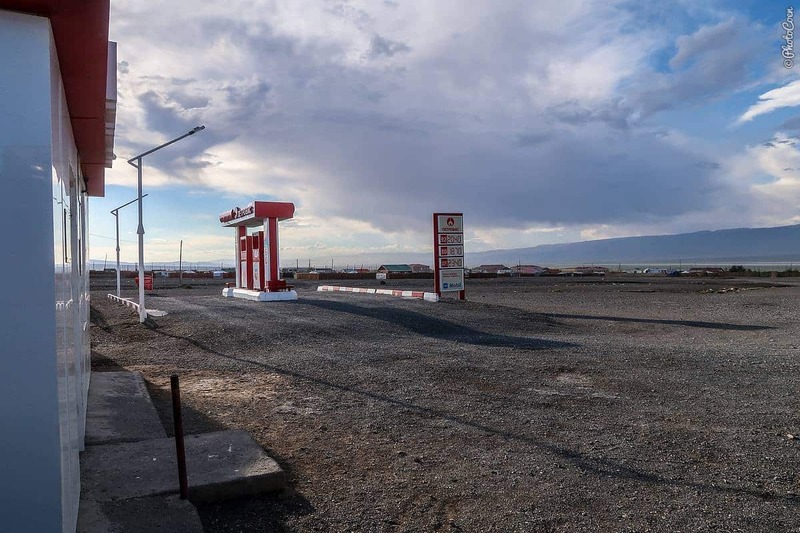 Prices vary per station and expect to pay more in the countryside than in Ulaanbaatar. 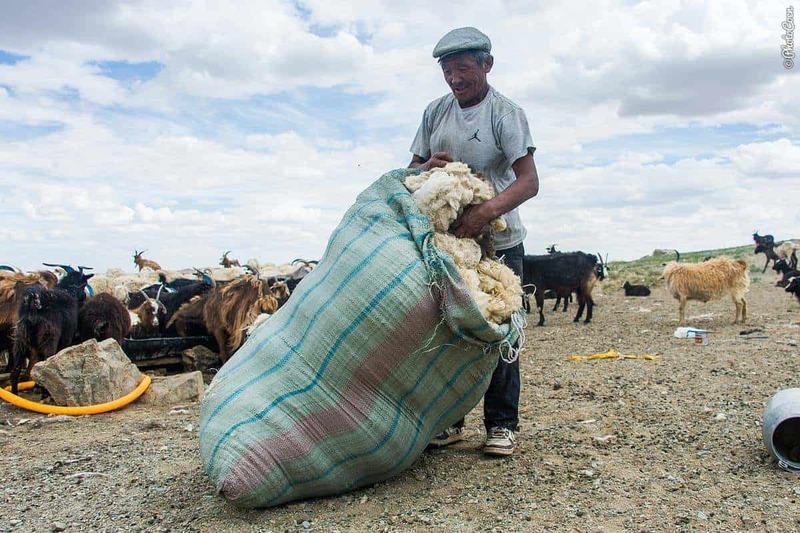 To give an idea, in Ulaanbaatar we paid around 2000 and in the countryside it varied from MNT 2180 – 2243. In Ulaanbaatar we used taxis for the 5 kms to get from the Oasis Guesthouse to the downtown area. There are official taxis, however, you can easily wave down a vehicle without a taxi sign as well. Quickly somebody will stop and take you where you want. This is the unofficial but super effective taxi service. The fee lies between 800-1000 MNT per kilometer. You will likely to be driven around in a Prius, as those seem to be the favorable by the masses. Just make sure the drivers reset their tripmeter on the dashboard. Otherwise we only used our own vehicle or walked. The tickets for museums, ruins, and temples were all very affordable, varying from one to a couple of dollars. 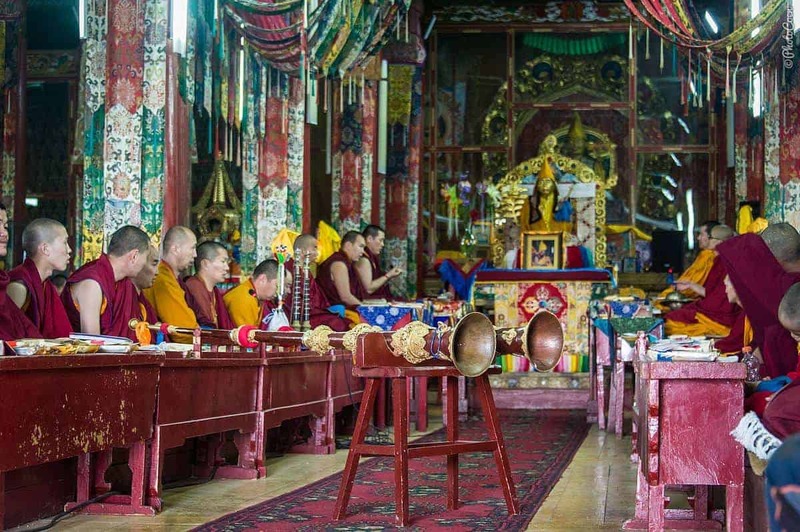 In Ulaanbaatar, we particularly enjoyed the National Museum and the Choijin Lama Temple Museum. In the Gobi Desert we paid for a couple of the ruins and generally donated at temples. 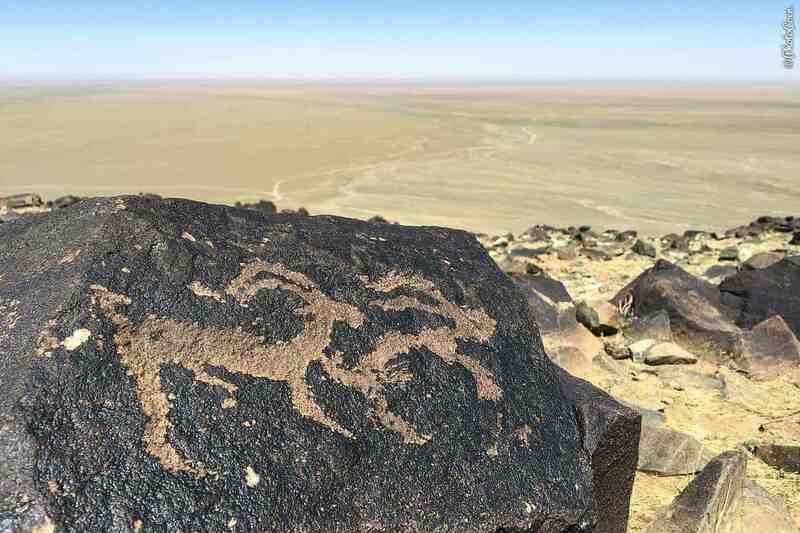 We loved searching for petroglyphs, of which the Lonely Planet gives GPS Waypoints. 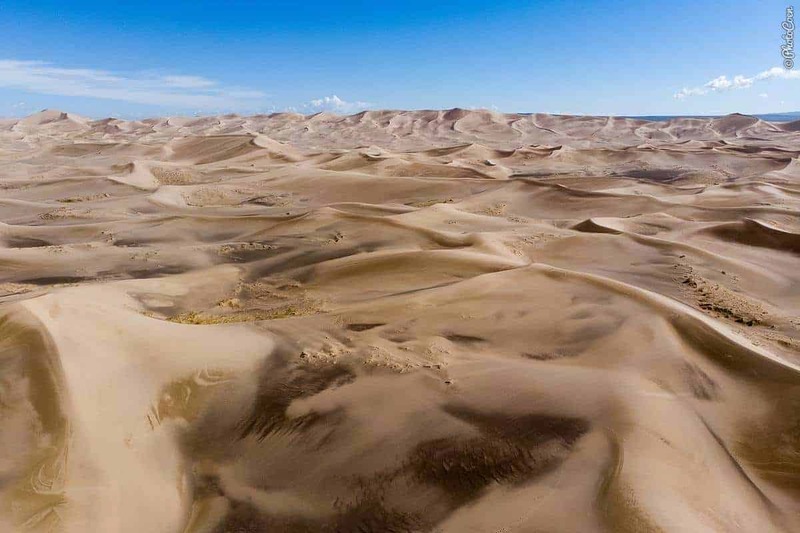 But most of what you want to see in Mongolia is for free: its fabulous scenery! In Ulaanbaatar we stayed at the Oasis Guesthouse (MNT 40,000 to sleep in an our-sized vehicle, including bathroom but excluding breakfast). It’s a guesthouse with private rooms, shared rooms, and a couple of gers in the garden. Service isn’t particularly high but it was a nice place to chill out, meet kindred spirits and have a good, relaxed time. It’s 5 kms from the main square downtown Ulaanbaatar and in that sense, super convenient. To find paid accommodation in Ulaanbaatar, check here. 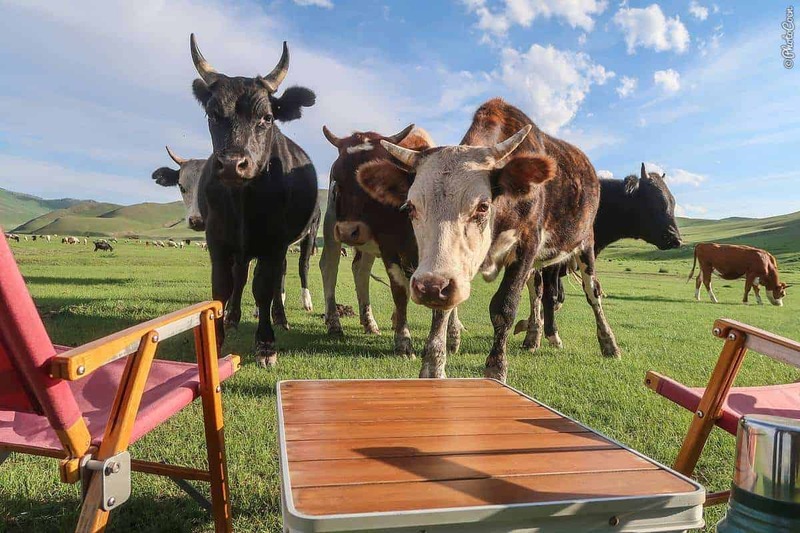 Outside Ulaanbaatar, we rough camped. You can park anywhere, space abounds and the country is safe. One thing of note: expect wind, lots of it. 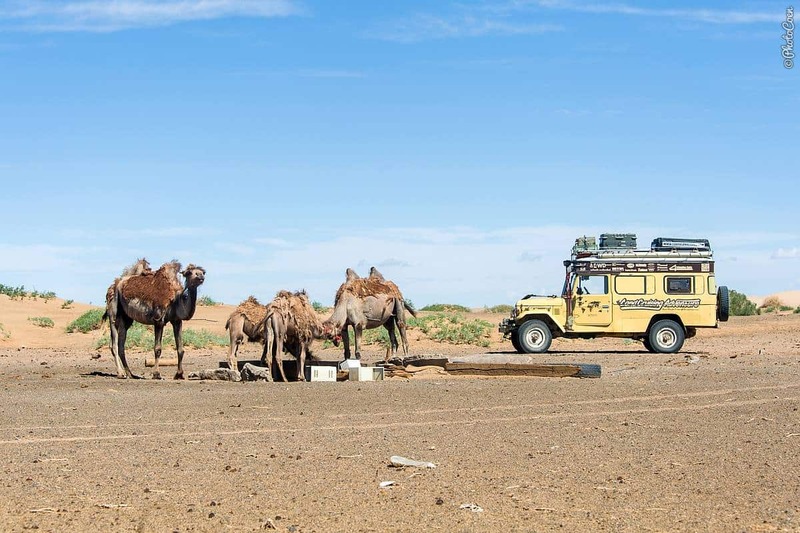 Roof-top tents are not always a good idea if you want a good night sleep; we know of overlanders who bought a ground tent just for Mongolia. We slept mostly in our car because an evening can start out wind still but change into a sand in dust storm within five minutes. I normally make an Accommodation & Camping overview of every country. 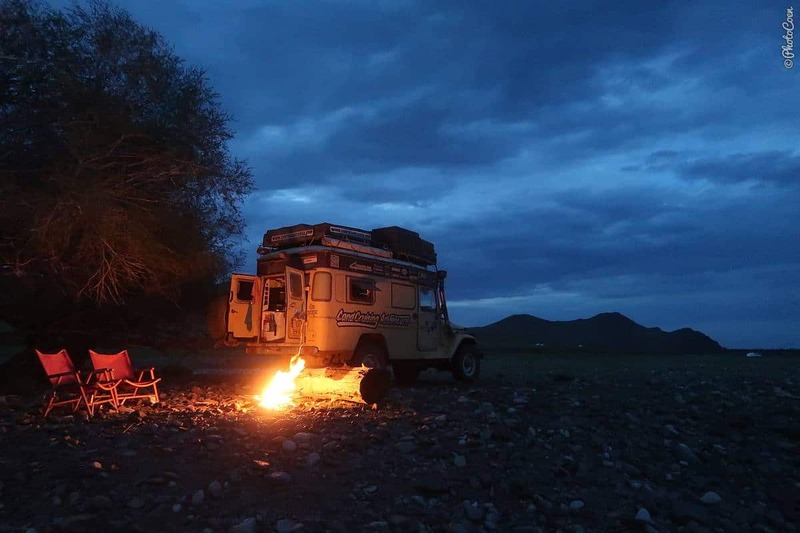 However, in Mongolia I decided to ask other overlanders to share their favorite spot. 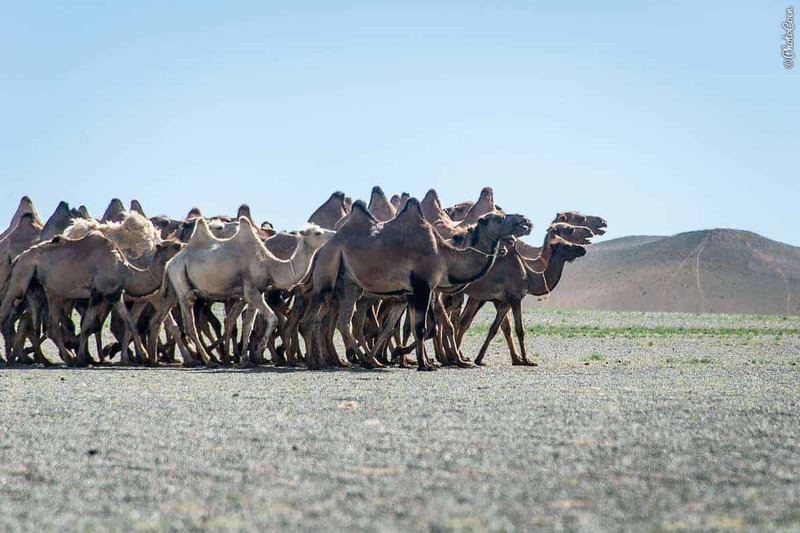 That list, including photos and GPS Waypoints is a good guide to camp at Mongolia’s most fabulous spots. I keep a journal with the above-mentioned travel-budget expenditures. All money spent minus these registered expenditures is Other Expenditures. This basically comes to money spent on groceries and eating out. 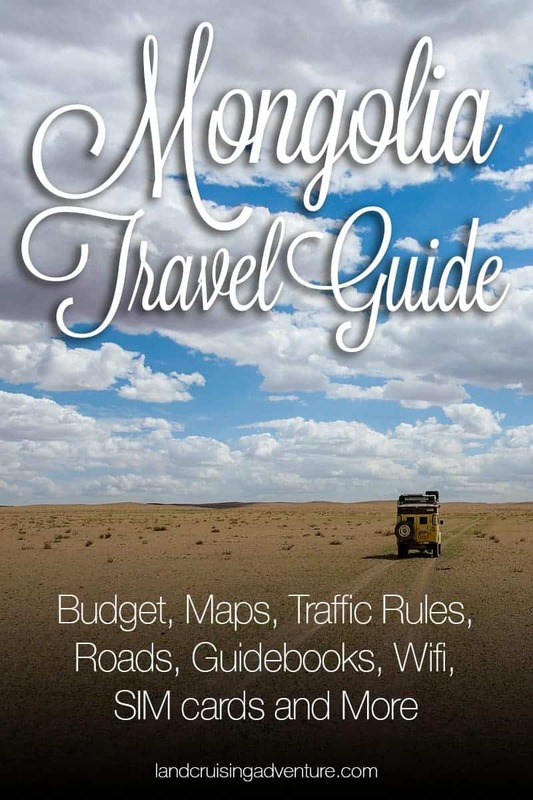 I hope you find this Mongolia Travel Guide useful. Do you have questions, or own experiences to add? Feel free to do so in the comment section below. Thanks! The thing making it amazing is so much of the nation is pure wilderness. What a driving adventure.